So on a pretty cold October night we headed down to Waterstones for a wee gothic night. Three authors, one I had heard of, who hasn't heard of the fabulous Michael J Malone :D Anthony O'Neill and Charles McGarry. Not my best photograph but some of these I had taken with my mobile. The books all had a wee reading from each author. Anthony O'Neill read from Dr Jekyll and Mr Seek. Charles McGarry read from his book "The Ghost of Helen Addison". And Michael J Malone reading from his book "House of Spines". All of our authors were interviewed by the lovely Sharon B from Chapter In My Life, if you aren't familiar with her blog please check it out. There were drinks provided free of charge, wine, water and soft drinks, we partook in a wee orange juice, I was working the next evening and never have a tipple of any kind if on the next day. 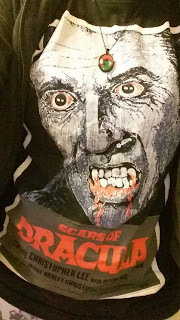 For the event I wore my Christopher Lee Dracula T shirt I picked up when I was at Liverpool horrorcon & my wee chain I got from one of the stalls, do you recognise which movie she is from? When I was leaving these fabulous bookmarks caught my eye, I didn't buy them that night but went back for them a few days later. 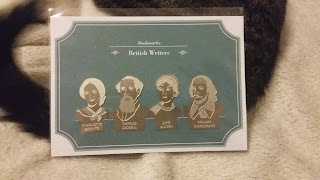 Stainless steel British Writers, Charlotte Bronte, Charles Dickens, Jane Austen and William Shakespeare. You know I love a bookmark so couldn't resist. What a fun looking/sounding evening! This is the month for such events. 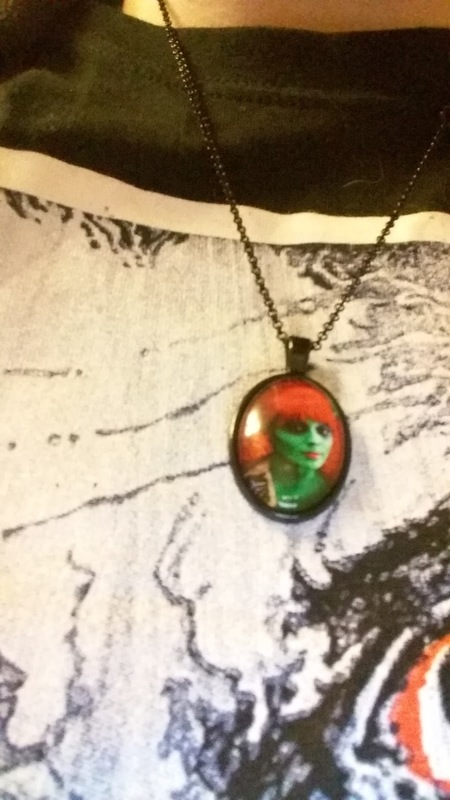 Thanks for sharing your pics. It looks like a really fun evening. I love bookish and literary events. This one was perfect for the season. I love the Christopher Lee T - Shirt! I have never read this book before but would love to try it. The plot seems really gripping, and it seems like a new genre to experiment with. It would be a great, new experience.